Schedule your service online where you can get upfront pricing for your make and model. We’ll send you a confirmation and a reminder 24 hours before your day of service with instructions on where to park your car and drop your keys. 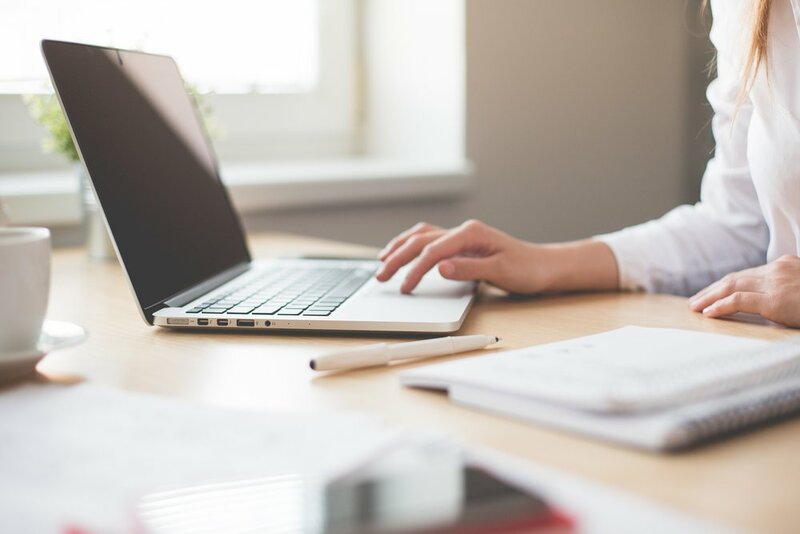 While you’re busy at work, Zippity’s professionally trained and certified technicians are taking good care of your vehicle. We get to look under the hood. Why shouldn’t you? Zippity’s Digital Health Report helps you get a pulse on your car. 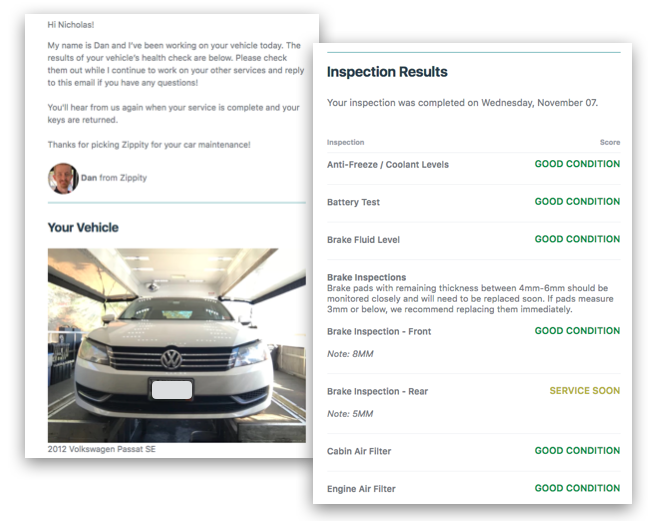 You get a condition report (with photos) for each of the most important parts and systems in your vehicle. We only recommend additional services when items are below industry standard specifications. We only perform services that you approve. Zippity is a full service shop, on wheels! 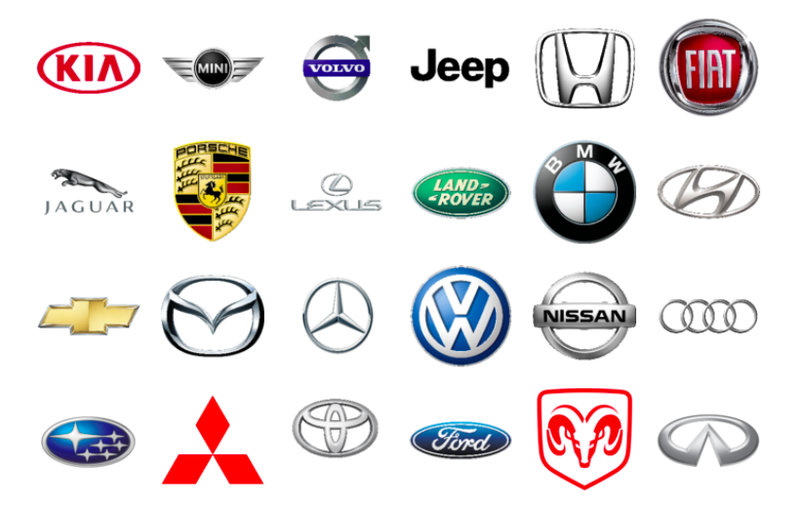 We partner with major parts distributors to provide high quality parts and service for all makes and models. All of our services are backed by an unconditional money-back guarantee. We promise that if you’re not happy, we’ll refund your money. Zippity works hard to provide premium convenience without the premium price tag. We are able to provide you competitive prices because we aggregate customers at your work location. If the dealer provides you with a service quote for less, show us!